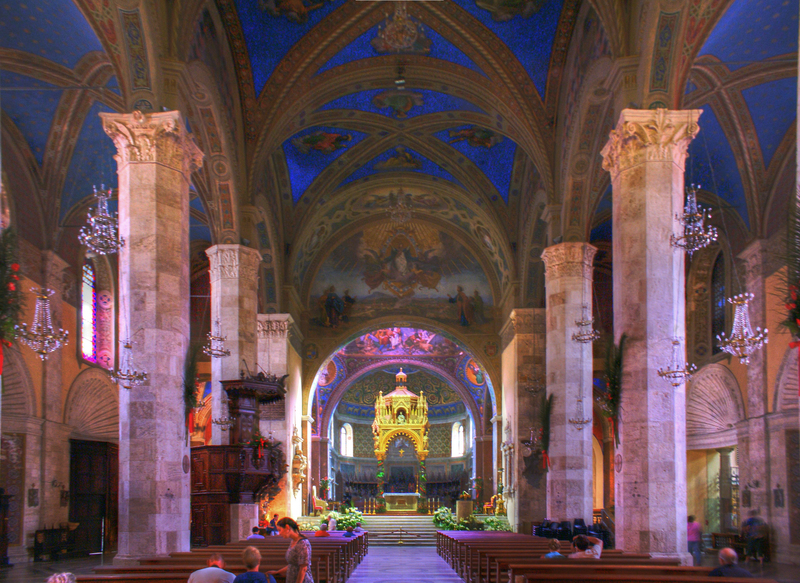 Its skyline is punctured by domes, spires and bell towers and filled with the golden hue of its travertine architecture. 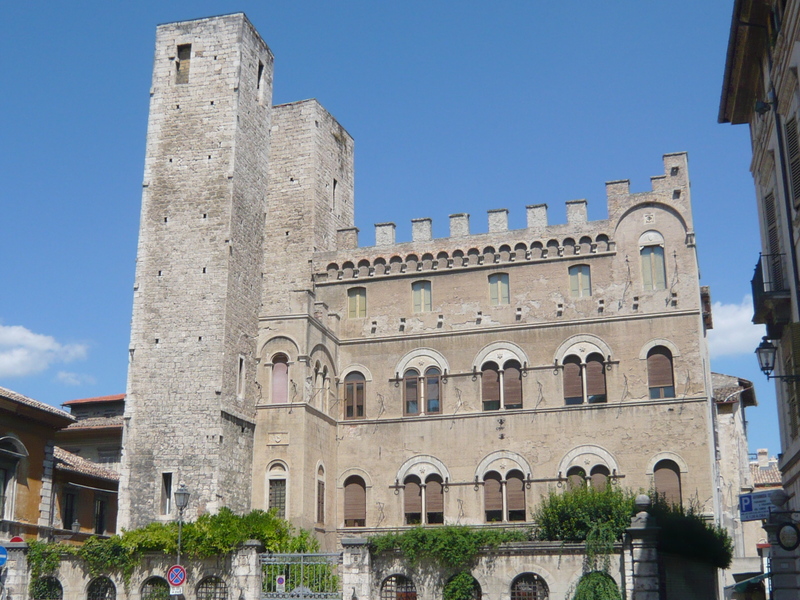 The city is surrounded on three sides by the courses of two Rivers, the Tronto and Castellano. 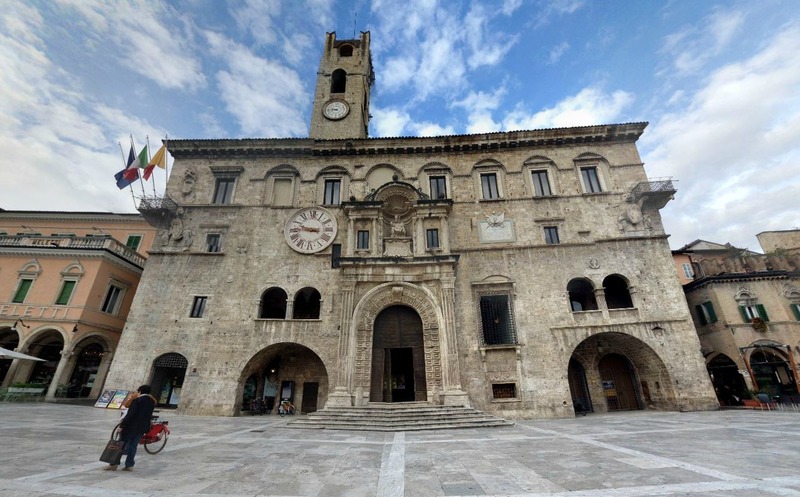 The Middle Ages are the focal point of the Marches's history, and Ascoli Piceno is no exception: just witness its splendid Medieval ar-chitecture. Ancient capital of the Picentini people, it was conquered by the Romans, along with the entire region, in 286 B.C.E. It was later dominated by the Barbarians, the Franks, Frederick II and Francesco Sforza, who put in place a cruel dictatorship in 1482. 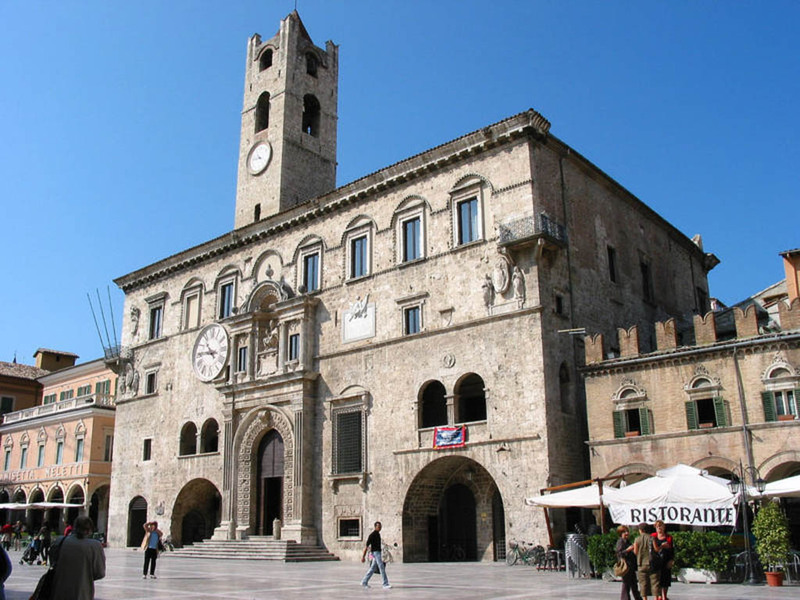 It is also said that Alaric I, King of the Visigoths, was so charmed by Ascoli's beauty (and aware of its strategic importance) that he preferred not to raze it to the ground, as he did with other cities. Together with Ferm o, the city was the Region's capital until 1860.